This lighthearted book wanders through German history from the Roman era to 1932, never taking itself or its subject too seriously and yet making a very serious argument. Though Winder sometimes resists his own conclusion, he builds a strong and surprising case that the Third Reich was not a brief and terrible aberration. Germany, in his view, was always heading toward this disaster. Winder asks, in essence, “Why did Germany and England turn out so differently, when the forces that shaped them are so similar?” Winder’s answer, I think, involves a combination of the Norman conquest, the centralization that conquest entailed, and the confidence that efficient central government engendered. Germany’s fragmentation had many beneficial effects, but the suspicion that the whole world was laughing at their political antics was never far from the official mind and ultimately proved irretrievably corrosive. What’s less clear here is whether the question really ought not to concern Germany and England at all. Why did Germany not turn out to be Italy – fragmented, diverse, perhaps ungovernable, but mostly harmless? The harmlessness of Italy might be questioned too – Winder does question it in the final chapters – but then the Italy of the short 20th century was always dwelling in Germany’s shadow. The analogy to contemporary China is clear and worrying.The contemporary scene, in which Europe’s institutional response to the Great Recession appears to prioritize minimal German inflation over every other consideration calls into some question Winder’s suspicion that the First World War would have bequeathed us a better world had Germany either won quickly or promptly accepted defeat. Winder is interested in how Germany came to be as it is, and so views the Ottomans as merely another outside force. It seems to me that this overlooks the very interesting legacy of the conflict in the Balkans. On the one hand, the (comparative) integrity of Imperial government casts a long shadow: even today, Balkan people who live in lands formerly ruled by the Emperor have more faith in law and in the police than do their neighbors who live in formerly Ottoman territory. On the other hand, the ability of the Ottomans to work with subject peoples who had radically differing beliefs and approaches to governance seems an attractive alternative to permanent, intractable conflicts. Mark Bernstein: #eloai before we embrace the wisdom of crowd-sourced tagging, let's reflect on the tags that crowds would have sourced in 1934 Germany. Dennis Jerz: @eastgate If Jews, Nazis and bystanders had all been tagging in public, on the global stage, for decades, might 1934 have been different? Scott Rettberg: Deep thoughts with Mark Bernstein: folksonomical metadata developed by participatory community = nazism? Good times. A year has passed, I’m no more sanguine about crowd-sourced literary criticism, and there’s not much evidence to show I’m wrong, is there? Last year, I pointed out a few holes in their directory. As far as I can see, most of those holes are still there. How do you have a directory of resources on Electronic Literature without mentioning anything by George P. Landow ? And if there’s any trace of the research reported at Hypertext 2011, 2010, or 2009, I can’t find it. Eastgate’s got a fresh bundle of Tinderbox and Twig information – screencasts, tutorials, and sample files – available today. You can get it on CD or by electronic delivery. Either way, it’s $35. We announced this last night and we’re swamped. If you’re waiting for your download, we’ll do our best to get your order into you mailbox shortly. James Fallows: Something Entertaining If You’re Feeling Smart. Don't try this if you're feeling logy. Or if the mention of a Poisson distribution makes you panic (he explains in context -- essentially, it's about how purely random changes in browsing and linking patterns affect the audience for a site). But if you're ready for an application of mathematical laws and models to modern habits of linking, browsing, Tweeting, and connecting, then by all means dig into what he says. Maybe the problem is, I need to embrace my inner A. S. Byatt. Her 2009 Booker Prize shortlisted novel Children’s Story is, in addition to being a gorgeously written book, a huge information dump of Life Among the Fabians at the Turn of the Twentieth Century. Fairy tale publishing, politics, sexual mores, pedagogy, the chemistry of ceramic glazes, Victorian clothing, life in the trenches—the number of note-cards that went into the making of this book could fill a small park with trees. I, however, write crime fiction. Research is great and good, particularly since what I write is often historical crime fiction, but the hard reality of genre fiction is that publishers really, really like you keep to a schedule, ideally a book a year. And a person can only fill so many note-cards before she has run out of time to write the actual book. The book – the physical paper book – is being circled by a shoal of sharks, with sales down 9 per cent this year alone. It's being chewed by the e-book. It's being gored by the death of the bookshop and the library. And most importantly, the mental space it occupied is being eroded by the thousand Weapons of Mass Distraction that surround us all. It's hard to admit, but we all sense it: it is becoming almost physically harder to read books. Hari’s editor is asleep or distracted: if something is almost physically harder, then it’s not actually physically harder, is it? Or, if it’s almost physically harder, then it’s harder in a way that’s almost (but not quite) physical. Either way, the issue is fuzzy. But we all know what Hari intends, and it, too, is silly. We might sometimes like to imagine that we are more distracted and harried, under greater pressure, facing greater challenges than anyone ever before. But it’s just not true. If you think you’re finding it physically harder to read books, think about sitting down with your great grandfather after a 14-hour shift in the mine or the mill, surrounded by squalling infants, and reading by candlelight when candles cost a bloody fortune and there was never enough to eat. If you read a book with your laptop thrumming on the other side of the room, it can be like trying to read in the middle of a party, where everyone is shouting to each other. To read, you need to slow down. You need mental silence except for the words. That's getting harder to find. If you can hear your laptop thrumming on the other side of the room, you need to shut it off right now because your hard drive is about to demolish itself. Otherwise, you’re hearing a one-inch fan on the other side of the room, and if you can’t read for the noise of a little fan, then all I can say is that you didn’t grow up in a house with two younger sisters, a dog, and parents who were not always in agreement. And here's the function that the book – the paper book that doesn't beep or flash or link or let you watch a thousand videos all at once – does for you that nothing else will. It gives you the capacity for deep, linear concentration. That birthdate might be a clue, incidentally. Great Expectations on an iPad is Great Expectations in a Penguin edition, but to be 32 and famous is not quite the same as to be 22 and in college. That a man of 30 should imagine that he could concentrate more acutely when he was 20 does not seem remarkable, nor does it require a technological explanation. Nor is it always true. 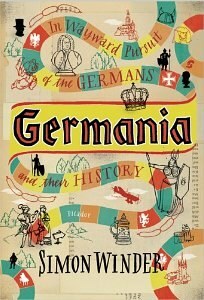 Early this morning, I happened to be reading a lively essay about German history on my iPad. The author, Simon Winder, spends a couple of paragraphs in admiration of Adam Elsheimer’s painting, Jupiter and Mercury in the House of Philemon and Baucis, but his publisher didn’t spring for a color plate. Now, I don’t know about you, but there are quite a few paintings by Adam Elsheimer that I myself don’t know very well, so I had no precise idea what Simon Winder was talking about. No problem: I asked my iPad to find an image, and there it was. Perhaps that’s a distraction, but it seems to me precisely the sort of distraction we want. Perhaps it’s nonlinear, but it’s not any more nonlinear than using a dictionary, much less carrying on a background dialogue with yourself over whether you saw that painting in college, or ought to have done, or whether Gerôme was influenced by Alsheimer, or what this painting might look like if you imagined it from Simon Winder’s description. Hari’s argument crops up repeatedly, but you never hear it from scientists and engineers. If you need to know how the Diels-Alder reaction works, you read about it. If you need to know how to make sure your building won’t fall down, you read about it. If you want to pass your next exam in partial differential equations, you’re going to read, and you’re going to concentrate, even if your laptop is thrumming. Hell, you’re going to concentrate even if there’s a party in the room. I did it often enough at Swarthmore; do they have no parties in Cambridge colleges? We’re all more busy and distracted than ever before. We always have been. Thanks to Michael Druzinsky for the link. It’s been a long time since I’ve linked to Torill Mortensen, but she’s back: AOIR 11 is over and her stint as program chair has been successfully completed. Torill blogs eloquently about the experience. Running a conference is a lot of work, but in computer science this work is indispensable. It’s how things get done, and crucially how we connect isolated facts and projects to people. The results, of course, are what matter. But to understand the dynamics of the field, to know what people are trying to do and what they hope to do next, you’ve got to know more than what’s on the page. One tension, evident in my recent travels, is that multidisciplinary research can go to so many conferences that it’s becoming hard to encounter work that is not quite right. Instead of appearing as a short paper or a poster that might inspire controversy, correction, and collaboration, the investigators just send the work to another conference until it is eventually accepted and becomes another entry on a bunch of CVs. A related dynamic tends to fill programs with safe, straightforward work that cannot fail to bear results in the 2-3 year window allowed by the European Ph.D. The cut-up books in J. K. Rowling’s announcement for the Pottermore site are its strongest point. A very clever creation, exactly in the right spirit, and itself an interesting commentary on the electronic book. The careful, cautious script is competent and reveals little. That jarring emphasis on safe is disturbing, since going out of the way to assure viewers that Pottermore is safe raises fears that safety should be a concern. What would Harry or Hermione think? In any case, I can’t imagine how any site that permits interaction between users could be completely “safe” from bullies, seducers, mean kids, or people who express distressing ideas. Most of the Web discussion I’ve seen so far concerns the advisability of the Sony branding. I’m not wild about the logo bar, which wastes a lot of pixels, and I’m not a big fan of the Pottermore logo, though the film logo was wrong is a different dimension and it’s turned out fine. The social dynamics of the stealth launch seem ghastly, though: it’s one thing to recreate schoolyard jealousies when rolling out a new enterprise tool, but I’m not sure you want to lock some of your fans out of Pottermore for three months. A lot of those fans really are in the schoolyard and they know how to kick and scratch, and I’d be worried that they might get angry with waiting and decide you’re not going to be cool anymore. Alienating bookstores strikes me as awkward and unnecessary; surely Sony can find some way to keep these titles away from Amazon without annoying the channel, and even if you think bookselling are as aged and feeble as house elves, it costs little to be nice and you never know. Jame Teevan from Microsoft opened Web Science 2011 with an intriguing keynote about what we can learn from the ways people search. This highlights a pressing problem with the field. you might figure out that 50271 might possibly be a chemist, perhaps named Clump, who has a car and either lives or works or is visiting Henniker, NH. You can see how this could quickly become far from anonymous. We’ve always known this: you can identify lots of famous people from a few facts (great, hard-partying pinstripe CF; German physicists married to each other). You can do the same for family friends. It turns out, with Google you can do this with everybody. 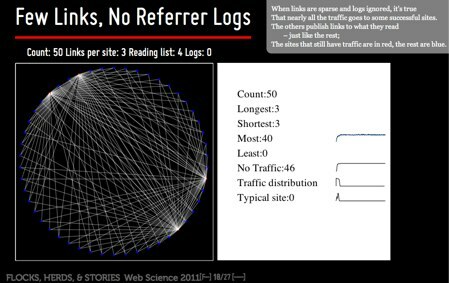 This is a grave problem for Web Science because Web Science wants to study the Web as a natural phenomenon. Lots of companies – Google, Microsoft, Apple, Facebook, Twitter, and plenty more – do important research on the data the acquire. But, right now, they cannot share the data, because that would invade people's privacy. Without shared data, no one can reproduce their experiments. If this can’t be fixed, this entire subfield of Web Science will need to be jettisoned because it won’t be, and cannot be, a science. One solution might be to accept conventional norms for privacy, allowing us to feel private even though our privacy could be violated. We know that people could intercept our mail, for example, but most of us don’t worry terribly about it because gentlemen don’t read other gentlemen’s mail. We may lock our front doors every day, but still have large glass door on the back porch that someone could break in seconds; we feel fairly secure that no one will break into our house because the risks seem so greatly to outweigh the rewards. It’s not a good answer, but we’re going to need some answer, or simply agree to discontinue this line of research as infeasible. I've Fallen (Behind) and I Can't Get (Caught) Up In a recent blog post for NPR, Linda Holmes wrote, "Statistically speaking, you will die having missed almost everything.... There are really only two responses if you want to feel like you're well-read, or well-versed in music, or whatever the case may be: culling and surrender." How do you choose among the millions of books that you could be reading? Do you organize your "to read" books or are all your books "to read" books? How useful are book reviews, Amazon recommendations, Goodreads, LibraryThing, etc.? How do you budget your limited reading time? And how do you cope with the knowledge that you will never read everything you want to? Lots of other great panels, including “Daughters of The Female Man” (on feminism in contemporary science fiction), “No Childhood Left Behind” (on how the growth of YA means that not everyone you know grew up with Pooh and Frodo), “Rudyard Kipling, Fantasist and Modernist”, and “The (Re)turn of the Screw” (on fantasy stories in which you aren’t entirely sure what is really a fantasy). The book club new fiction selection in Jo Walton’s Among Others. Of course. In this pleasant confection, a veteran of the Afghanistan war is working as a hotel security guard when a Star Trek convention comes to town. Things get strange, and then take a turn for the weird. "Meanwhile, in a distant level of the hotel far, far away, Princess Leia Organa lay handcuffed by the wrists to the headboard of a queen-size bed ." 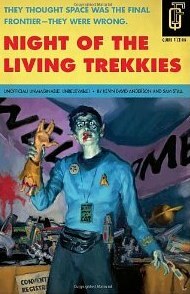 There’s no real attempt here to understand conventions and conferences and the portrait of attendees drips with self-loathing, but suffused with wit and formidable Star Trek scholarship. This is the paper that I delivered in verse. The text is embedded in the presentation. Phil Houtz lept into Tinderbox for his novel and found that "if you don’t have a clear idea about what you’re defining you can easily wind up with a jumbled mess." In a new and detailed blog post, he steps back and reorganizes his nascent novel notes. Especially useful for a good look at the different between containers and links. Just a placeholder for now; slides and text for my Web Science talk on Herds, Flocks, and Stories will be posted here shortly. I’ll post the text too. It’s all very rough (especially the script) but I hope it will be useful. A thread of angst in the Web Science Curriculum workshop, clearly, is multidiscplinarity. The dominant discipline is computer science, to the extent that computer science is a discipline. The fear that sociology and the rest of the social sciences will be read out of meeting is clear, but the desire for multidisciplinarity is equally evident. Köln’s cathedral area is marred by some astonishing urban planning decision. Extensive bombing transformed the city, of course, but attaching a beton brut camera shop to the cathedral seems an unforced error, and there’s enough of those around to fill a textbook. But during the war, an important Roman mosaic was found in the shadow of the cathedral, and it made good sense to build the museum around the mosaic rather than move it. This could have been done better – there’s no sense, for example, of where the atrium ran, or how the rest of the house was oriented, and surely we know this. Still, it’s reasonable to place the museum where it is. And what a museum! Astonishing in scope and presentation, with intelligent selection and good signage and a reasonable respect for the literate visitor while showing consideration for the tourist. The gift stores of both this museum and the adjacent Ludwig are situated where they belong, another refreshing change from the American and Italian practice of throwing stores into the middle of the museum. Tons of epigraphy – almost all of it with labelled with a CIL-style transcript, translation to German, and brief commentary in German, English, and French. I found this especially helpful because, though my German is extremely feeble and my Latin is probably worse, it’s a lot easier to work from Latin+German than from Latin+Italian. Nifty visualization of Roman Köln. Kölsch, the light ale of Köln, comes in tiny little glasses. This makes sense. You want it to be fresh, you want it to be cold. Waiters wander the room with trays of just-poured glasses, so you always have a fresh glass. It’s labor intensive, but it works. Lovely dinner at Brauhaus Sünner im Walfisch, with plenty of Kölsch to accompany a Rosencranz, serenades (in harmony) from adjacent tables, and much good humor about bumbling Americans, the nature of Essen, and peppery schnapps. I’m badly confused about meal times. In Eindhoven, it seemed the Dutch ate on an American schedule: you can have dinenr anytime you like, but the kitchen closes at 9. I work, and then I cook; 9 is dinner time for me, and 10 is not unknown. In German at midsummer, things seem to run a little later – at least if you know the code. Seeking a last beer last night, we stopped by Fruh but were told is was five minutes ’til last call. Next door, down two flights (or maybe three), the same establishment’s cellar was going strong, and while we drank a beer or two it filled up with lots of cheerful people who obviously thought this a perfectly reasonable time for a beer and a bite. It’s hard to remember that this was (in 1958) new, that Sean Connery was not yet the real James Bond. I suppose the real James Bond was Peter Fleming, Ian’s big brother. Roger was walking along Gower Street. He had passed the School of Tropical Hygiene. He had passed the Royal Academy of Dramatic Art. In one minute, in less than one minute, he would have reached the Slade.... so I called across the street: "Roger, come to Brazil." "What?" said Roger: playing, I dare say, for time. "You’d better come to Brazil” I said, getting into a car. “Why?” said Roger cautiously (or perhaps incautiously), also getting into the car. We set down Gower Street: past the Royal Academy of Dramatic Art: past the School of Tropical Hygiene. I talked rapidly. At the end of Gower Street Roger got out. “I'll let you know for certain on Monday,” he said. The book has superficial faults. 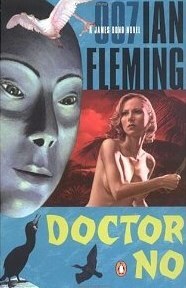 The casual racism can be forgiven, the way we excuse Dickens and Dorothy Sayers, though by 1958 Fleming might have known better, and – considering this is James Bond – the sexism is not as bad as we might fear. I’m less sanguine about the concluding action sequence, which seems to take a very long time to accomplish very little. Bond’s concept of a workout – he employs a personal trainer to get in shape for the mission – is quaint: 3 1-mile jogs interspersed with hours of sunbathing is considered a real workout. It’s also striking how much richer the rich have grown since 1958; the fantastic Dr. No has a palace/control center that’s not much nicer than a large law firm’s offices, its walls are adorned with lithographs and reproductions, and Bond thinks the appropriate bribe to offer a henchman to betray the operation is $10,000 and an airplane ticket. As expected, the Hypertext Conference kicked off with an exhilarating workshop on narrative in hypertext. Organized by Charlie Hargood and David Millard from Southampton, the workshop spent the morning exploring hypertext writing and criticism, wandering in the afternoon in the direction of analysis, structure, and visual design. My own talk was called Wandering Monsters: on the problem of coherence in digital narrative. Lots of people are deeply worried about the apparent incoherence of hypertext stories; in the main conference, for example, Vinay Chilikuri gave a very interesting paper in the main conference, in which each transition’s shift of character, place, or time was considered a source of cognitive “processing load” and a potential source of distraction or incoherence. I think, however, that the apparent incoherence of hypertext narrative is an illusion. It’s not that hypertext is hard to read: High Late Modernism and Postmodernism is hard to read, and a lot of the best and best-known hypertext fiction is consciously modern or pomo. Most hypertext works by varying the plot – the sequence in which the story appears – rather than the story itself. If we do want to vary the story, though, narrativist games give us plenty of exemplars for doing this without collapsing the story or, indeed, ending up very far from where we intended to go. I showed how narrativist games like Morningstar’s Gray Ranks and Gijsbers’ Stalin’s Story add incident without losing the thread. I was, of course, very sad to miss the spatial hypertext workshop, especially the chance to see VUE and Compendium, not to mention each year’s tantalizing hints about Jessica Rubart’s system. (Congratulations on new post!) Landow gave nifty overview of the Victorian Web and wiki experience, though somewhat swallowing his lines over the failure of wiki to improve student writing as much as his older moderated approach. Good late-night talk with Nack, Hargood, Mason, et. al over hazardous Belgian beer – not quite as hazardous, fortunately, as the Tactical Nuclear Penguin of which we have been told – about computer science talks that exploit the Math Bomb. There aren’t nearly enough studies of hypertext in Hypertext anymore. In Eindhoven for Hypertext 2011. Whenever I can, I leave a day at one end of a conference or another to see a little of the place. So should you. Eat the food, see the sights. There’s a lot you won’t see or learn from a day, but it’s a start. The highlight of the Van Abbe Museum was its magnificent collection of El Lissitzky. I’ve always liked his posters and drawings, but this was far more Lissitzky than I’d ever seen and it really benefits from the mass, much as the Bauhaus shows Gropius, Albers, and Mies in their best light. I didn’t realize that young Lissitzky romped with Chagall. What comes through most strongly here is the Lissitzky believed. The shadow, of course, is the memory of the exhibit of Degenerate Art that shadows the fascinating exhibit on the art of the museum on the floor above. Ardent belief in a cause that fails is better than faith in a cause that is evil, but one wonders whether that belief was chosen or merely fated, whether the accident of birth saved him from being Speer or Riefenstahl. To save a little money on this trip – and because, to be honest, it sounded like fun – we didn’t fly to Eindhoven, or even to Amsterdam. Took the subway to St. Pancras. In London, they advertise books on the subway. Had a nice brioche at St. Pancras, and took the Eurostar to Brussels. It’s fast. Local train back to Utrecht. Another local train to Eindhoven. This one was standing room only, although we had plenty of company in the vestibule, including a pair of young Dutch couples doing a Meet Cute. One fellow on his cell phone said, “Hallo! Wat? OK! Nee…”. Dutch vowels are surprisingly close to American English. (So are Scots vowels from the far North; you can hear plenty of Invergordon in New Hampshire.) But “nej” (sp?) gives it away, though the English used to say “nay”. too. This set me off into trying to remember whether Shakespeare or Milton ever say “yes”. No googling! But if someone is attending speeches from someone who is promoting the violent overthrow of our government, that’s really an offense that we should be going after — they should be deported or put in prison.